pace – Your Life. Your Hustle. I ran the Lucky Leprechaun 5K in Reston a year ago tomorrow. My time for that race was upwards 39 minutes. You can see my splits just to the right. (Please note that last year’s splits are not from the race … these are from a few days later but within a week of that time and at the same fitness level). 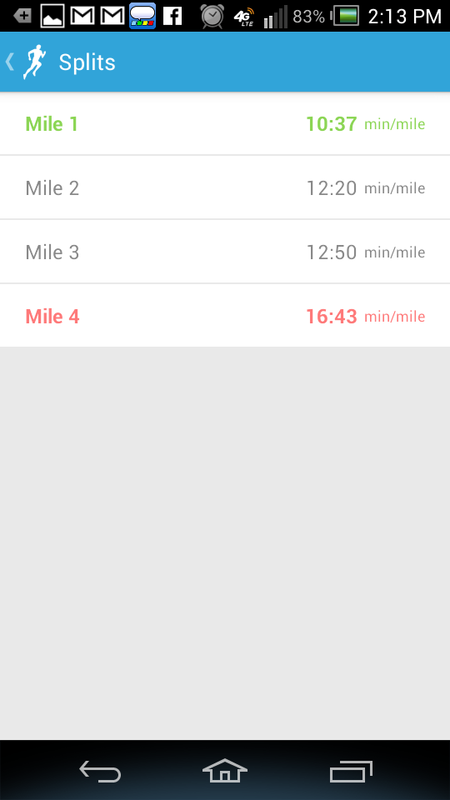 I started off at a “fast” pace and got steadily slower. I just couldn’t keep up. After about 1.25 miles I had to walk. The rest of the race was a run/walk and my sister was nice enough to stay with me the whole time. I was mortified that I couldn’t make it a 5K without stopping. But honestly … what did I expect? I was overweight, out of shape, and did zero training for the event. It was the push I needed to become more aggressive about my fitness. Since that race last year I’ve dropped approximately 30lbs. just from running and increased weight lifting regiments. I really need to adjust my diet as I’ve definitely hit a weight loss plateau with my fitness sessions. I still have plenty of fitness goals to reach and the weight is definitely a barrier. It’s tough for me to run more than 3x per week and if run farther than 5 miles my joints really feel the stress. Goal for 2014 is to lose another 50lbs. That’s ambitious I know … but I’d be happy with 35lbs. Actually that’s probably where I’ll end up. I ran my best 5K time today (outside) at 28:18. That’s an 11 minute drop off my time…basically I could run an extra mile (and then some) if I had 40 minutes. To the left are my splits from today’s run. I started off at a sub 9:00/minute pace. 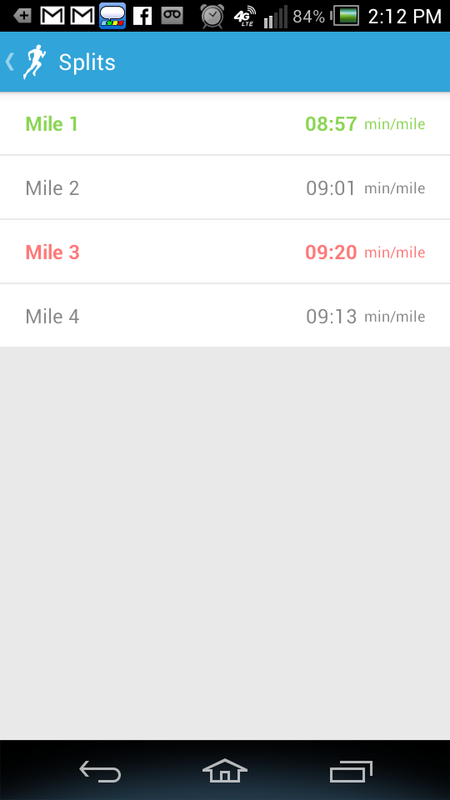 I almost slowed down because I didn’t think I could maintain that pace but I surprised myself. The slower miles were a result of some hills but I did relatively well. Well time to get end this blog post and get ready for the Lucky Leprechaun 5K tomorrow. Tomorrow’s race is going to be a fun run with friends so I’m not going for time … I suspect a 35:00 5K. Nice needed slow run and a chance to show my Irish roots! I’ve got my temp tattoos and green fingernail polish all ready to go!